This is a pie we made a while back and I just had to share it with you. A couple of months ago, when cherries were in season, I bought a couple of kilos from the farmers market. Ofcourse, just the two of us found it hard to eat them all up. 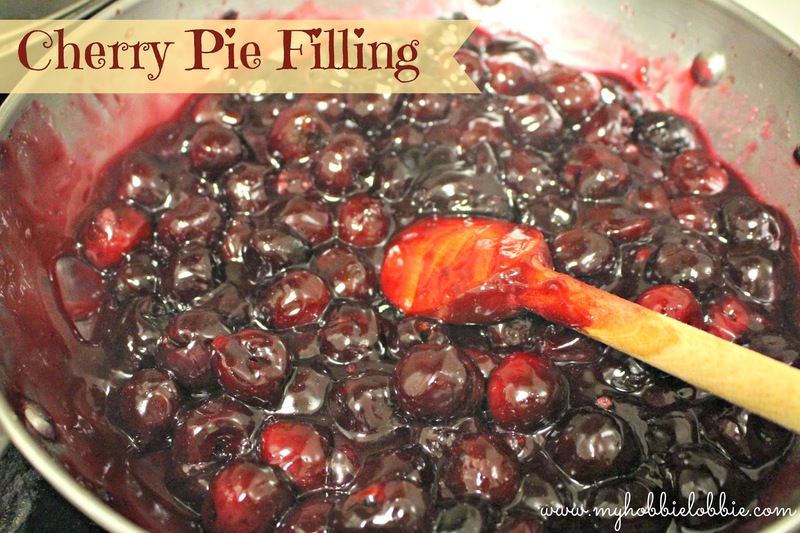 I decided to try making some cherry pie filling. 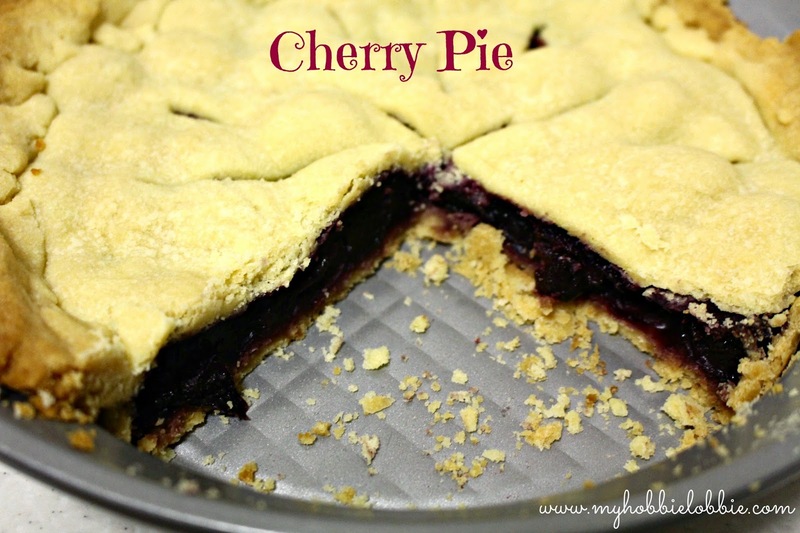 I've never had cherry pie before, so I figured it was a good time to try it out. I didn't can this filling. I just put it in a clean, dry, glass jar in the fridge and it is still intact a couple of months later. So if cherries are plentiful in your part of the world, I hope you try this out. 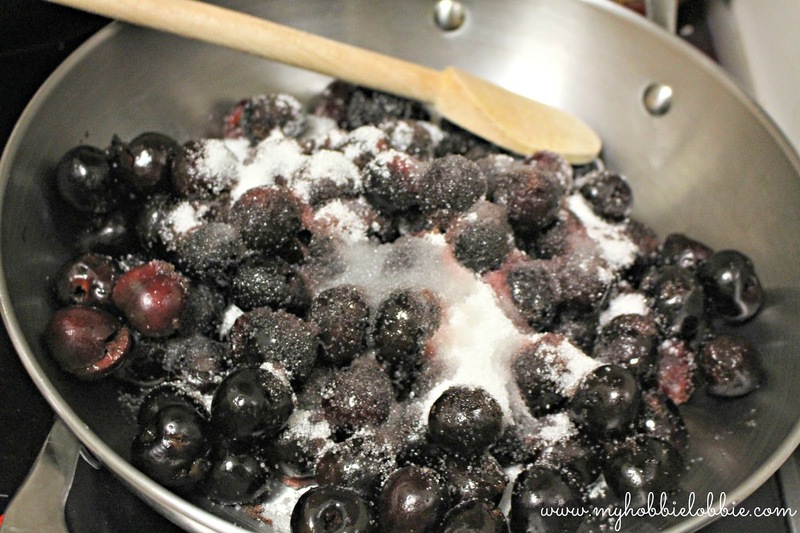 Place the pitted cherries in a large pot with the sugar and lemon juice. On medium heat, allow the cherries to warm up and start cooking down. Stir frequently. Mix the cornstarch and water in a small bowl till dissolved. After the cherries have started releasing their juices and have heated up, add the cornstarch solution and bring it to a boil. Stirring well, cook till the mixture gets nice and thick. I had previously mentioned to my darling husband that I wanted to use this for a galette or a pie, but I didn't have the time to do it on the day I made the filling. This sweet, sweet man who was home the next day when I was at work, whipped up a beautiful light, buttery and short shortcrust dough and made the pie all by himself. He used our trusty recipe for the crust. The crust was fantastic. Infact the dough was so short, I couldn't get a clean slice for a picture, but it was so very delicious. 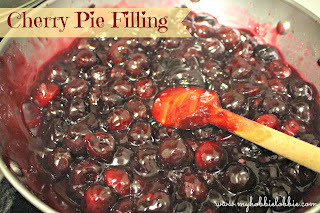 The simple and unassuming pie filling that was so easy to put together simply blew me away. It was tasty and worked so well with the pastry, without being cloyingly sweet. If you're feeling a little indulgent, serve this up with some vanilla ice cream and sit back and enjoy!